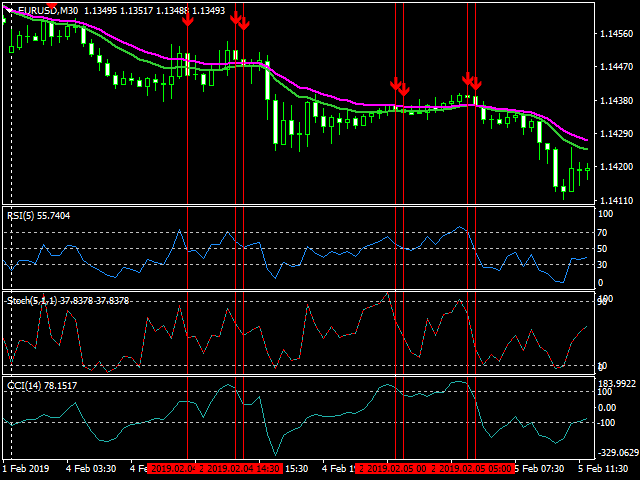 MA Crossover indicator is an easy tool based on several indicators such as Stochastic, Moving Averages, CCI and RSI. The indicator provides Alerts when Moving Averages crosses and at levels of overbought vs oversold of Stochastic, CCI and RSI indicators. 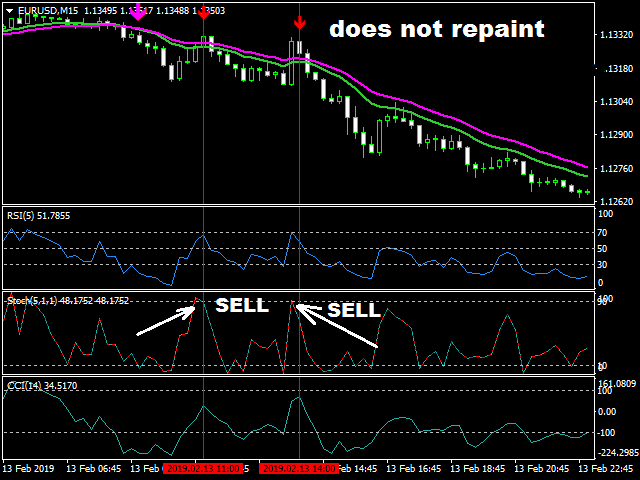 You can also use MA as a filter allowing you to filter the signals from Stochastic, CCI and RSI indicators. TIMEFRAME - ALL, PAIRS - ALL. 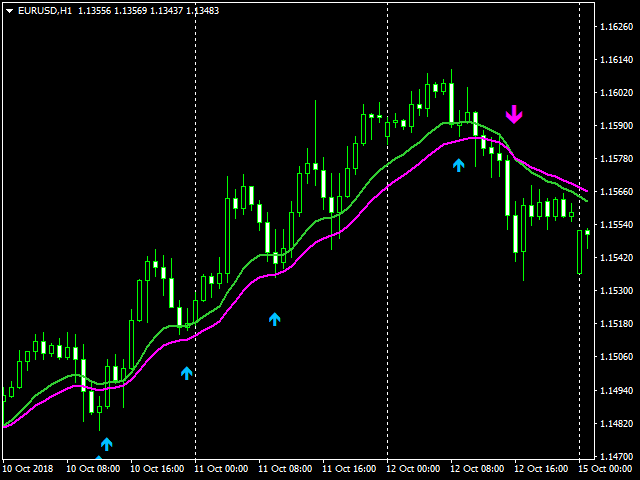 Use H1 to determine the trend and use a smaller timeframe to identify and confirm potential trades. Enter the trade with the help of the arrows in the direction of the trend.